SAN JUAN Y MARTÍNEZ, Cuba , Feb 28 2015 (IPS) - “We have to wait and see,” “There isn’t a lot of talk about it,” are the responses from tobacco workers in this rural area in western Cuba when asked about the prospect of an opening of the U.S. market to Cuban cigars. “If the company sells more, I think they would pay us better,” said Berta Borrego, who has been hanging and sorting tobacco leaves for over 30 years in San Juan y Martínez in the province of Pinar del Río, 180 km west of Havana. The region of Vuelta Abajo, and the municipalities of San Juan y Martínez, San Luis, Guane and Pinar del Río in particular, combine ideal climate and soil conditions with a centuries-old farming culture to produce the world’s best premium hand-rolled cigars. In this area alone, 15,940 hectares are planted every year in tobacco, Cuba’s fourth top export. While continuing to hang tobacco leaves on the Rosario plantation, Borrego told IPS that “there is little talk” among the workers about how they might benefit if the U.S. embargo against Cuba, in place since 1962, is eased, as part of the current process of normalisation of bilateral ties. Cuban habanos, rum and coffee represent a trade and investment opportunity for Havana and Washington, if bilateral ties are renewed in the process that on Friday Feb. 27 reached the second round of talks between representatives of the two countries. Habanos have become a symbol of the thaw between the two countries since someone gave a Cuban cigar to U.S. President Barack Obama during a Dec. 17 reception in the White House, a few hours after he announced the restoration of ties. Among the first measures approved by Washington to boost trade and ties between the two countries was the granting of permission to U.S. tourists to bring back 100 dollars worth of cigars and rum from Cuba. But the sale of habanos in U.S. shops, where Nicaraguan and Dominican cigars reign, is still banned, and U.S. businesses are not allowed to invest in the local tobacco industry here. Furthermore, the lifting of the U.S. embargo depends on the U.S. Congress, not the Obama administration. 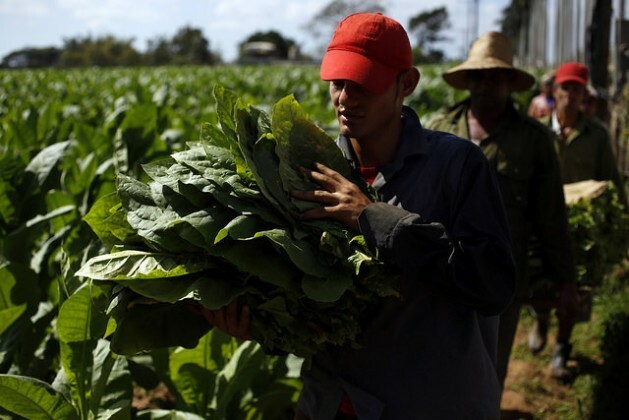 In 2014, Tabacuba adopted a plan to double the production of tobacco leaves in the next five years, in the 15 Cuban provinces where over 16,000 producers, mainly private farmers or members of cooperative, produce tobacco. Experts say that while Cuba stands out for the quality of its tobacco, it is not among the world’s biggest producers – which are China, the United States, Brazil, India and Turkey, in that order – nor is it among the countries with the highest yields –which are Taiwan, Spain, Italy, Japan and the United States. In fact, due to armed conflicts in different parts of the world, high import tariffs in Europe, and climate change in Cuba, the sales of the country’s cigar company, Habanos SA, fell one percent from 2013 to 2014, to 439 million dollars. But when it happens, annual sales of habanos in the U.S. market are expected to climb to at least 250 million dollars, according to estimates by the only company that sells Cuban cigars, Habanos SA, a joint venture between the state-run Tabacuba and Britain’s Imperial Tobacco Group PLC. The corporation estimates that 150 million cigars from the 27 Cuban brands could be sold, once the U.S. market opens up. 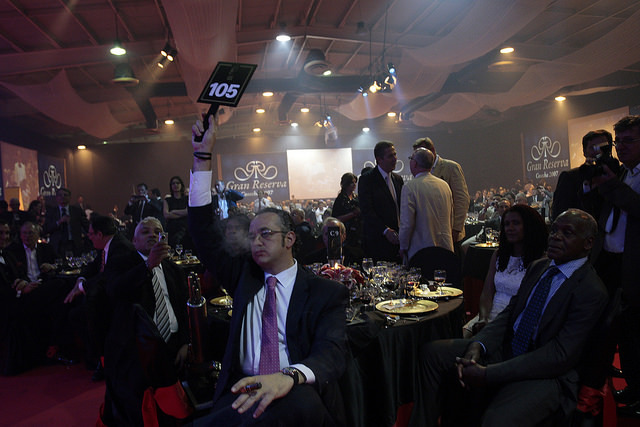 The new permission for visitors to take home 100 dollars worth of cigars was called “symbolic” by Jorge Luis Fernández Maique, vice president of the Anglo-Cuban company, during the 17th Habanos Festival, which drew 1,650 participants from 60 nations Feb. 23-27 in Havana. “The increase in sales in Cuba won’t be big,” the businessman forecast during the annual festival, which includes tours to tobacco plantations and factories, visits to auctions for humidors – a specially designed box for holding cigars – and art exhibits, and combined cigar, wine, rum and food tastings. In its more than 140 locations worldwide, La Casa del Habano, an international franchise, sells a pack of 20 Cohiba Mini cigarrillos for 12 dollars, while a single habano cigar costs 50 dollars. Premium cigars are the end result of a meticulous planting, selection, drying, curing, rolling and ageing process that involves thousands of humble, weathered hands like those of day worker Luis Camejo, who has dedicated eight of his 33 years to the tobacco harvest. 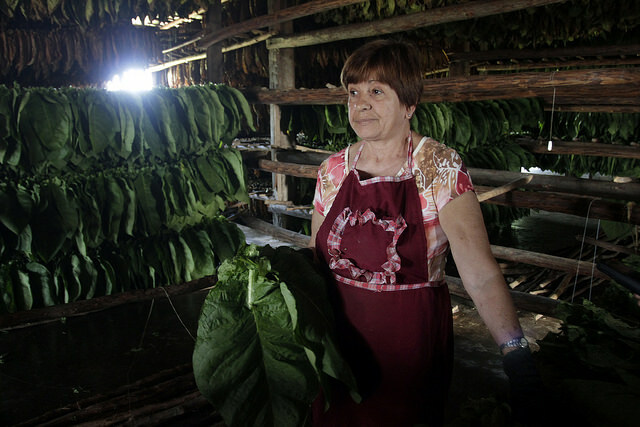 During the October to March harvest, Camejo picks tobacco leaves and hangs them in the shed on the Rosario plantation. Like the others, he is reticent when asked how he and his fellow workers could benefit from increased trade with the United States. “I wouldn’t know,” he told IPS. He said he earns 1,200 Cuban pesos (50 dollars) a month during harvest season, and a bonus in convertible pesos after the plantation owner sells the tobacco to the state-run companies. That is more than the average of 19 dollars a month earned by employees of the state, by far the largest employer in this Caribbean island nation. But it is not enough to cover people’s needs, given that food absorbs 59 to 75 percent of the family budget, according to the Centre of Studies on the Cuban Economy. “To reach a dominant position in markets, we have to grow from below, that is, in quality and yield, because Vuelta Abajo isn’t growing,” said Iván Máximo Pérez, the owner of the 5.4-hectare Rosario plantation, which produces 2.5 tons of tobacco leaves per hectare. “In terms of production, the sky is our limit,” he told IPS with a smile. “The current harvests even allow me to afford some luxuries,” he admitted. Pérez, known as “El Gallego” (the Galician) among his people, because of his northern Spanish ancestry, is using new technologies on his farm, where he employs 10 men and eight women and belongs to one of the credit and services cooperatives that produce for the tobacco companies. He has his own modern seedbed, is getting involved in conservation agriculture, plants different varieties of tobacco, uses organic fertiliser, and has cut insecticide use to 30 percent. I WANT SOME CUBAN CIGARS RIGHT NOOOOOOOOOOOOOOW! I bet Bubba Clinton has had a supply since his Oval Office/Monica Lewinsky days. When can I visit Cuba? I want to go this May. Come on, Barry. Make it happen. BTW, Honduran cigars are just as good as Cuban cigars.